Highlights: This week GOV.UK published the government spending round. GDS hosted the monthly meeting of its senior digital leaders, including presentations from Ken McCallum from BIS (Department for Business, Innovation and Skills) and Ashley Machin who told 'The Digital Story at Lloyds'. Last week, Mike Bracken visited the eGov forum in Singapore, while this week GDS welcomed visitors from overseas, Sixtine Bouygues and Robert Andrecs from the European Commission, and Deputy Prime Minister of New Zealand, Bill English. Next week Ministry of Justice launches its Lasting Power of Attorney beta on GOV.UK and GDS is proud to be hosting a number of sessions at Civil Service Live. Interviewer: Hello Mike. Tell us what GDS has been up to this week. Mike: Hi Matt. Well, GDS is very much aligned with the centre of government this week. We’ve been publishing the detail of the spending round, which I’m sure everyone will have read by now, and on the day of publication we had 45,000 views of content on GOV.UK. So it’s good to show that our publishing system is well in place and being used. I should say a word about the spending round because it’s great to see the government investing in digital transformation. At the heart of some of those decisions were digital investments in tax, in criminal justice and policing. 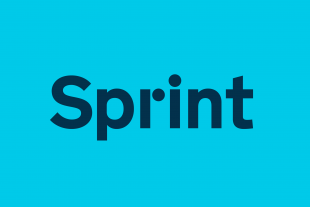 Actually that mirrors the work and actually is the work of parts of our 25 exemplar programme, which we’ll be talking more about at Sprint Alpha [event for government departments, reviewing progress in digital], the next round of Sprint on July 17th. So it’s good to see support from the Treasury for digital transformation. Also this week, we had digital leaders - a monthly meeting of all the senior digital leaders and change agents across government, and a couple of highlights this week: Ken McCallum from BIS (Department for Business, Innovation and Skills) presented all the work that some of their agencies have been doing. BIS is a tremendously sprawling digital estate, so it’s really good to see what they’ve been up to, and we should say goodbye to him because he’s going to leave as a digital leader, and say thank you to him. Also we had a presentation from Ashley Machin from Lloyds, who really impressed all of our panel with 'The Digital Story at Lloyds'. On Thursday we had the pleasure of speaking with Francis Maude, Minister for the Cabinet Office, to a number of existing and new suppliers around the changes we are making, and were able to show them the first wave of our new alpha and beta services. So I think we got a lot of enthusiasm from that crowd. Interviewer: That’s excellent. You also spoke at the eGov forum last week. Mike: Yes, we were in Singapore, and that’s the forum for people like us, who are trying to transform government, people like John Sheridan the Australian CTO (Chief Technology Officer), James Yang from Singapore, many other countries there; South Africa, a lot of African countries as well, Saudi Arabia, we met them. The good news is they’re all looking at us and what we’re doing. So we’re very much seen to be leading. I guess the thing that should keep us on our toes is they’re all catching up quick. If ever there was evidence that we’re in a global race, it was the visit last week. Interviewer: We also had visitors to GDS as well from around the world. Mike: Yes, we had the comms team from the European Commission, Sixtine (Bouygues) and Robert (Andrecs) came over and visited us last week, and interestingly we had the Deputy Prime Minister of New Zealand, Bill English, who is also the Minister of Finance, came over and visited Liam (Maxwell) and our CTO team. So again, some high-profile visitors coming and seeing what we’re doing. Interviewer: Next week we’ve got some quite big news from outside of GDS, haven’t we? Mike: Yes, I’m delighted by this; we launch another beta. So the Lasting Power of Attorney, that’s a service run by the Ministry of Justice, that goes live in beta on Monday, and well done to Chris and the OPG (Office of the Public Guardian) team. We started working with MoJ probably about 12 months ago on this. It’s been a long haul to change that service, but I think, having a digital service that everyone can see will give a lot of comfort to all of those people who are still at the early stages of digital transformation in government. The other event next week is Civil Service Live, where we will 'Be Exceptional' and really proud to be hosting some of the digital forums and hubs at that event in three locations next week. Interviewer: Finally, a few new starters at GDS. Mike: Yes, as ever, I should say hello to Elliot (Hughes). Elliot has joined us from Southampton University for a couple of months. He came via a hack day. We have five new starters, but Elliot is probably the highest profile, so welcome to him and the others. Interviewer: Terrific. Until next time. Wait. There are *TWO* John Sheridans?